Rob Liefeld has a treat for us in the form of a preview of this two page from the upcoming Savage Hawkman #12 from his Facebook page! 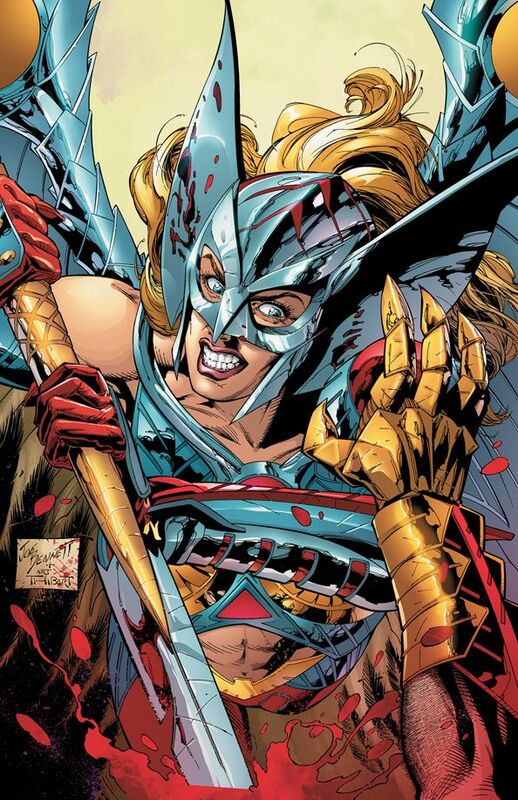 After reading #11, it should come as no surprise that Hawkman and Pike are tangling, but who will get the upper hand? We'll have to wait and find out. H/T to Matt Orr (follow @HawkmanFans and check out his site!) for the head's up! Image: Savage Hawkman #12 preview, 2012, Joe Bennett. Sneak Peek At Hawkman: Wanted! Thanks to Rob Liefeld's enthusiasm for Twitter, we have a very nifty penciled preview page of the upcoming "Hawkman: Wanted" storyline in The Savage Hawkman! Looks pretty amazing to me! Hawkman and Green Arrow going to town on what I am guessing are Thanagrian warriors (Wingmen?) sounds like some good comics! Image: Hawkman: Wanted Preview, 2012, Joe Bennett. Summary: In the gladiator pit, Hawkman faces down five enemies hand picked by Xerxes to showcase his Nth Metal armor. Hawkman wades through the first four, taking them down with his fists and his wings, until the last foe remains: the captain of the guards and the arena champion, Ironside. After a back and forth brawl, Hawkman uses his gauntlet claws to slash Ironside's armor, defeating him. Demanding his release to Xerxes, the alien enters the fray himself, telling Hawkman that he has decided to keep the Nth Metal as his own. The crowd cheers wildly for their hero Xerxes as the two warriors clash repeatedly. Xerxes holds the size and strength advantage, but Hawkman catches him off guard, grabbing his ankle solidly. He then takes to the air, and tosses Xerxes into a steel support strut, bending it wickedly with the impact. Hawkman then swoops to where Emma is being held and makes short work of the guards. Grabbing Emma, the Winged Wonder swoops down to Ironside, then slashes his armor. The damage severs some sort of fuel line, and Ironside's suit catch fire. Tossing him into the roof, the subsequent explosion gives Hawkman and Emma an escape route. Xerxes vows that this is not the last time they will cross, saying that the next time he will send him "headlong to Chinvat." Investigating the warehouse the next day, Hawkman finds no trace of the gladiatorial arena or his captors. Carter meets up with Emma at a motel, and they make travel plans -- first by ship and then commercial air. Elsewhere, a mysterious, sunglasses wearing man (whom we had previously seen at the arena) uses strange technology to contact one of his charges, whom he refers to as the "Kherubim mongrel." He gives orders to the man to obtain the Nth Metal at any cost. At the dock where Carter and Emma are boarding their merchant ship, they are spied on by the "mongrel" -- a well armed and outfitted operative named Pike, who says that it is his destiny to to kill the Hawkman! Review: This issue is much more fast-paced than the last, but that is understandable as the majority of this issue takes place in the pit with Hawkman fighting first Ironside and the gladiators, then Xerxes himself. The action is fast and furious, and Joe Bennett, Art Thibert, and Jason Wright are up to the task. This team is really bringing Hawkman to life, and when you consider the amount of physical violence on display here, they seem really in their element and hitting it out of the park. Rob Liefeld's cover is not my cup of tea, although better than the previous one, at least. Liefeld's story, on the other hand, is straightforward, but he still makes the dialogue crisp and drops a few little character bits in there as well. Pike's seeming obsession with destiny is unusual for a wetwork operative, for instance, so I am very curious what his deal is. The second issue of the Liefeld/Bennett era of Savage Hawkman continues to deliver the goods. I like that the story is told in as many pages as it needs to be told: there is not some decompression of the story to make Hawkman fight in the pit for 3 issues or something. And now that he has escaped from Xerxes capture, we're off on a new adventure. To say that I am enjoying that sort of pace is an understatement, and to say I am eager to see what happens next is an even bigger understatement. Image: The Savage Hawkman #10, 2012, Rob Liefeld. This one of a kind headband is made with pages from a Hawkman comic. It features Hawkman and Hawkgirl. This is a great and fun way to show your love of comics. That last bit amused me, heh. Still, if you have a female comic book fan in your life (or if you are a female comic book fan for that matter) with the fashion sense of Gwen Stacy (seriously Gwen... did you ever take that headband off?) then this might be the perfect gift! 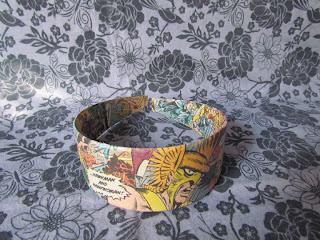 Image: Hawkman and Hawkgirl Headband, 2012, image retrieved from Etsy. Savage Hawkman Toy Announced at SDCC! It's not just comics news coming out of San Diego for Hawkman this year! 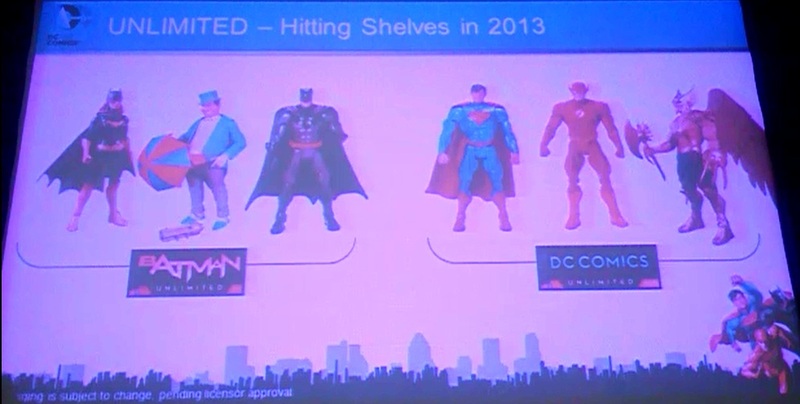 From Mattel's DC Universe panel, we get this image featuring none other than the Savage Hawkman of the New 52, hanging out with similar versions of both Superman and the Flash! 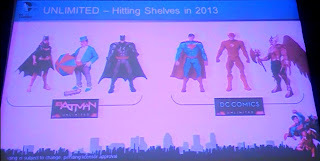 As part of the "DC Comics Unlimited" line, it appears that Savage Hawkman will be part of the spotlight being shone on the "rest of" the DCU, since Batman rates his own line. Of course. More Savage Hawkman Hints from SDCC! Savage Hawkman #0 is "the culmination of what we've been doing all spring and summer" says Liefeld. "At the end of 0 and into 13 he finds out his truth, which is something he has to deal with the consequences of. he's a wanted felon in the Universe, and Deathstroke, Red Hood and the Outlaws, Green Lantern, and others will be after him." The hits just keep on coming, so more news as it becomes available! Rob Liefeld was a guest on the oddly-named "DC NOW!" panel at SDCC, and thanks to both Newsarama and CBR, we have the intel! Please note that this does contain SPOILERS! Liefeld on Hawkman #0: "They just let me go gigantic, really big with Hawkman's origin. It's a gigantic space opera." The end of Hawkman #13 sets up a story called "Hawkman Wanted," with the title character as an "enemy of the state, accused of heinous crimes." Liefeld praised the work of Joe Bennett, and then moved onto Deathstroke. Liefeld took over with “Savage Hawkman” issue #0, telling audiences that in his first few issues Carter Hall has been trying to figure out the nth metal while being attacked by those interested in taking it from him, issue #12 leading right into the #0 issue. 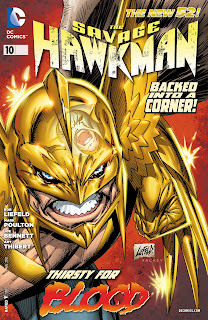 “It’s a giant space opera with the fall of Thanagar...we introduce Carter was an adopted son of the royal family,” Liefeld said, adding, “It sets the stage for ‘Hawkman: Wanted’...[where] Carter learns that when he is located on Earth he is an intergalactic criminal...he now has to prove his innocence.” The issues after that will cross over with “Green Arrow,” and include Red Hood, Starfire and Deathstroke. 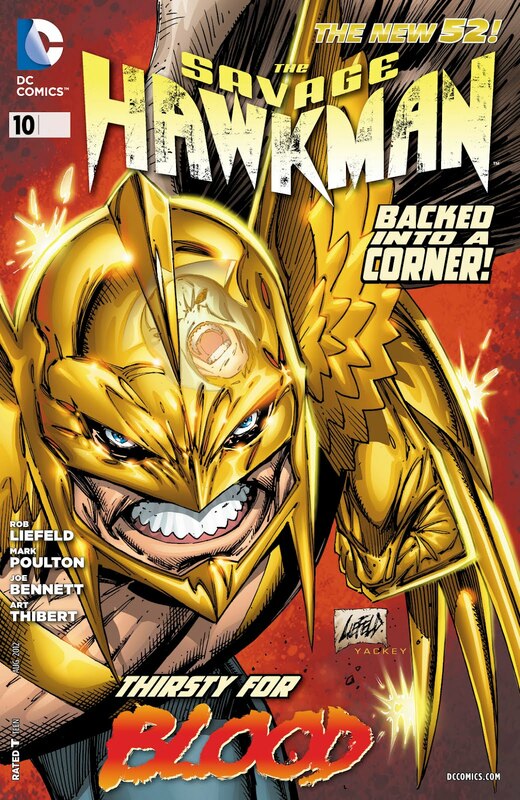 “It’s a little bit of Dune, a little bit of Ten Commandments,” Liefeld added, describing the book and showing an image of Lady Hawk on the cover of issue #12. Sounds like things aren't going to let up for our hero any time soon! I'm a little perplexed at why Liefeld dropped the spoiler in there, but I am guessing that is no more than would have been revealed in the solicits, and still the manner in which it came to pass is still up in the air. The inclusion of some of the DCU at large is cool too. Green Arrow is a natural, of course, but Red Hood, Starfire, and Deathstroke? Starfire makes sense considering the storyline right now over in Red Hood & The Outlaws involves Kory dealing with her home planet, and Deathstroke, well, Rob does write both books. So I can buy that. I don't have a problem with Rob building up his little corner of the DCU if he wants to, as long as all of the books can "play nice" together. I am very excited about seeing Rob Liefeld up there giving the book the hype it deserves and getting the word out. So far I am enjoying his time on Hawkman and want to see the book flourish. So here's to flying high! 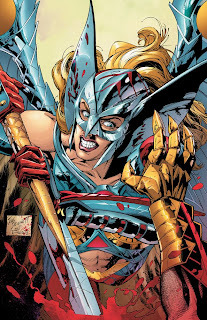 H/T to Matt Orr (follow @HawkmanFans) for the link to the CBR recap! "...Hawkman, since Super Friends as a kid, I've loved him.... He's a guy on the run, there's a little bit of Jason Bourne in there." Hawkman as Jason Bourne? Makes sense considering the next storyline is called "Hawkman: Wanted." And given his proclivity to go "savage," the analogy works because Bourne (at least in the movies) was a guy who was simply pushed too far too often and had to take matters into his own hands. I am going to assume that we'll hear more about the upcoming plans for Savage Hawkman later in the weekend when DC gets to their Justice League group panel, and I will be posting whatever information I find! DC has released previews of their October solicitations for the Justice League family of books, and, as luck would have it, that is where the two Hawk-related series are currently grouped. Thanks to Newsarama for the previews, and away we go! • "HAWKMAN: WANTED" begins here! • The secrets of Hawkman's past are coming to claim him in an adventure that will span the entire DC Universe before its shocking conclusion! "Princess Shayera" makes her cover debut here, and she looks every bit as Savage as our hero. And this adventure will "span the entire DC Universe?" Sounds suitably epic; not sure the last time that Hawkman had an adventure that broad. The tie-in with Green Arrow is not surprising, really. In fact I am a little surprised that it took into the second year of the New 52 to give us a meeting between Carter and Ollie. • Ollie comes home to find trouble in the sky over Seattle – trouble that will lead to the "HAWKMAN: WANTED" storyline starting next month in GREEN ARROW and THE SAVAGE HAWKMAN! I have not read any of the New 52 Green Arrow, though my GA loving friend Adama didn't give it good marks when I discussed it with him. That having been said I have heard pretty good stuff about Ann Nocenti's writing since she has taken over the reins of the title. I might pick up this issue as a prologue to the crossover. I'm a little behind the curve here because I have not read #3 yet (it's in my DCBS box waiting to be shipped), but it sounds like this title is moving pretty fast out of the gates. The team of Hawkgirl, Green Lantner, and Flash sounds impressive to me. Looks like big things are afoot (awing?) for the Hawks in the coming months in the DCU! This fall, don’t miss the start of a far-ranging collection of stories from comics legend Joe Kubert (BEFORE WATCHMEN: NITE OWL) and other great talents. A six-issue anthology mini-series, JOE KUBERT PRESENTS kicks off on October 31st. The inaugural issue spans 48 pages and includes a Hawkman epic written and illustrated by Kubert, a tale of Angel and The Ape from writer/artist Brian Buniak, and a return to comics for writer/artist Sam Glanzman with a new tale of the U.S.S. Stevens. The image they gave has a real Tor vibe to it, which would be fine with me as I am a big fan of Kubert's prehistoric works. Of course, I am also a huge fan of his Hawk stuff, so this seems right up my alley -- and if you are reading it here, probably yours, as well. Great bit of news to get to top off a heck of an Independence Day here with the family! H/T to Matt Orr for Tweeting this! Image: Joe Kubert Presents: Hawkman sketch, 2012, Joe Kubert.